For enquiries about specific access equipment or for general advice, please complete this form with details of your enquiry and we’ll call you as soon as we can. I would like to be kept up-to-date by email and email newsletters about offers, news and other activities. Short leg length lets you get close to your load. 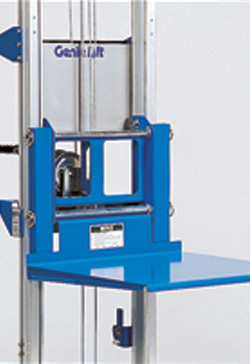 Excellent for accessing loads on counter tops or shelves above fixed objects. 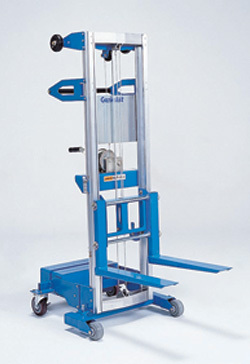 Optional load platform which fits over forks to handle odd shaped items. 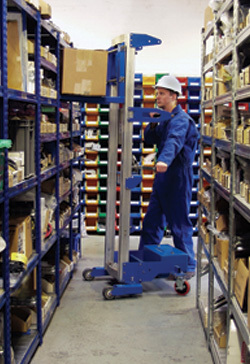 Optional boom attachment, turning the Genie Lift into a vertical crane or hoist. Specifications subject to change without notice. Images are for illustration purpose only. Finance figures are indicative only and are subject to acceptance..